If you should know nothing about Cognac at all and if you are not really aware of what Cognac really is, you should read my article on the Pierre Ferrand Cognac 1840 Original Formula, where I at least briefly discuss some of the basics. Of course, if you would like to delve deeper into the subject, you are well advised to consult some specialized cognac-related print or online media. 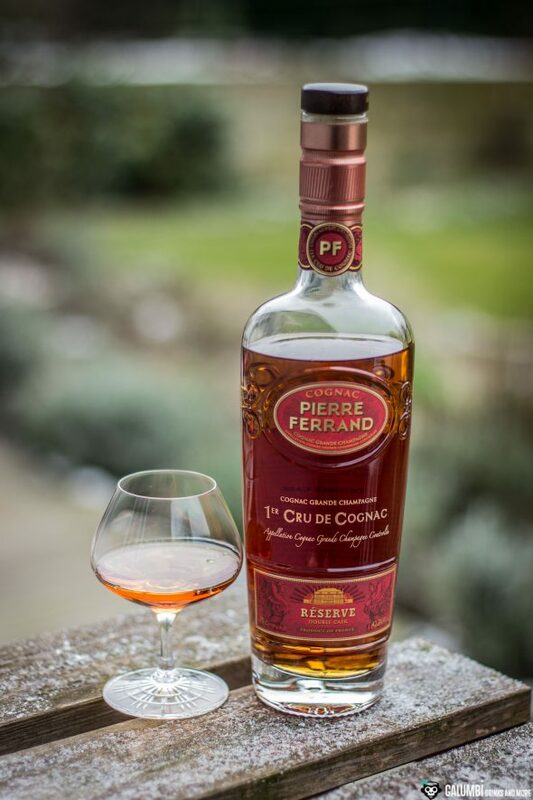 The bottle in question today is again from the series of Pierre Ferrand Cognacs, as well as the 1840 Original Formula and also the Pierre Ferrand Ambré. And also again we are dealing with a cognac from the subregion Grande Champagne, which is considered the 1st Cognac region (hence the name “1er Cru de Cognac” on the bottle). It bears the name Pierre Ferrand Réserve Double Cask and – compared to the 1840 Original Formula and the Ambré – is sort of “the old man” of the series. Although the manufacturer does not tell us the exact maturation time, it is characterized by a “tasting age” of 20 years (however, one has to keep in mind the marketing context: a “tasting age” is not an age statement, but merely a description that says that a spirit tastes as if it were so-and-so years old). 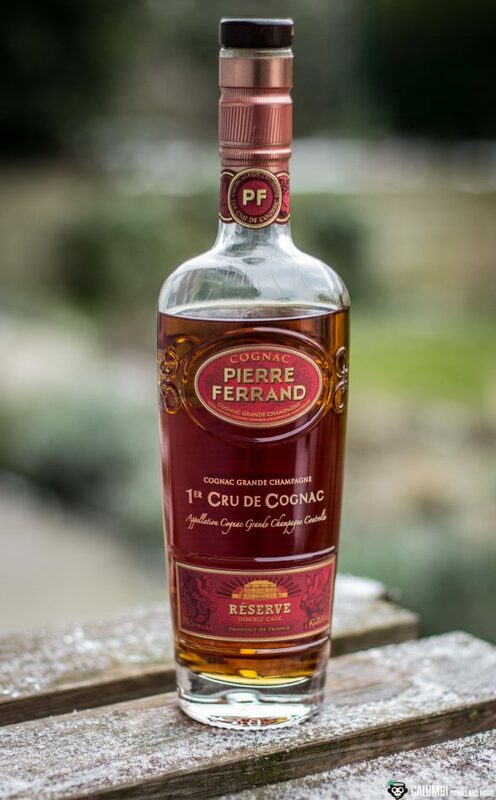 In fact, the Pierre Ferrand Réserve Double Cask – hence the name – matured in two different barrel types. Initially it was allowed to absorb the aromas of the wood from conventional cognac barrels before it was finished in so-called Banyuls barrels. What is a Banyuls barrel? Quite simply, it is a barrel in which Banyuls has matured before, which is a fortified French dessert wine. And the result of this maturation process is now meant to lead to the ominous “Rancio Charentais”. So what is Rancio Charentais? This term is found again and again in connection with older, mature cognacs and is actually also the subject of regular debates. It is basically a term that attempts to describe a special taste characteristic that is supposed to cling to older cognacs. 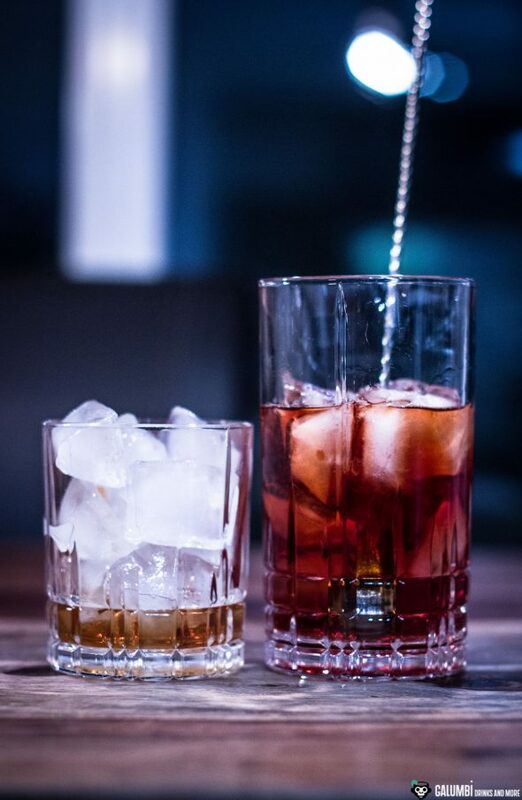 In most cases, a comparison is made with nuts and dried fruits (sometimes even with cheese), which are basically associations that are also familiar to most whiskey drinkers as descriptions of their preferred booze. The peculiar appearance of the Rancio Charentais, however, is a genuine cognac term. So will I find the Rancio Charentais? Nose: On the nose, the longer maturation process of this cognac is unquestionably there: Distinct oak tones can be found which combine with a striking and beautifully pronounced chocolate note. Spices (especially cinnamon) and dried fruits (especially cranberries and dried cherries) are also there and are backed by nuts and a fine vanilla. Taste: Wow, that’s a really great cognac, no question about that! Again, you can notice the maturity of an advanced age with oak, spices, chocolate, roasted coffee, but also brighter and fresh nuances such as apples, apricots and unripe figs. Well, does it deserve the name Rancio Charentais? As far as I dare to go out on a limb, I would say: yes! In any case, it is a very complex and beautiful cognac that is absolutely suited as a sipping cognac! Finish: long-lasting, warm and nutty. Well, if you have such a beautiful cognac of course you want to use it wisely inside a cocktail. So I chose a variation of a cocktail that I find quite wonderful and that I think the Pierre Ferrand Réserve Double Cask is capable to enrich with its ripe but also fruity notes: the “A Moment of Silence” cocktail by Maks Pasuniak from his highly recommended book “beta cocktails”. 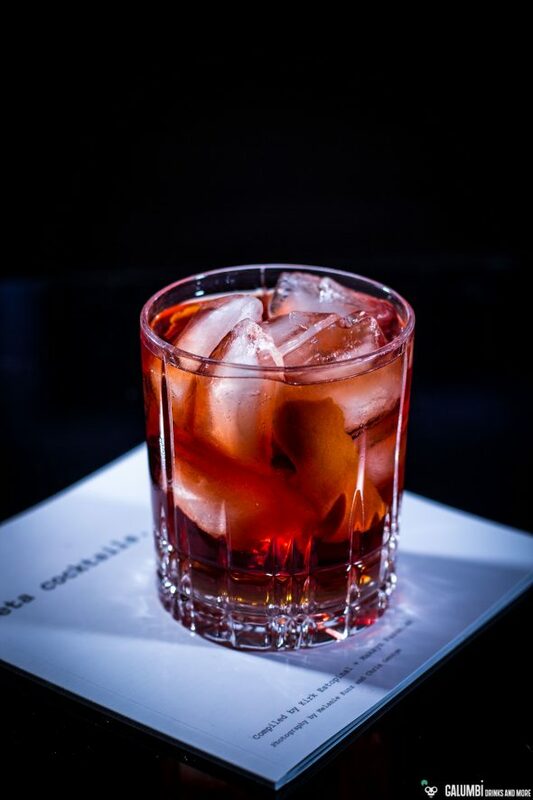 However, I have modified the aromatic mixture which originally consists of rye whiskey, apricot liqueur, Averna, Angostura, Apple Brandy and Campari a little bit and created a mostly French version of it. I also opted for another kind of bitters for reasons of more balanced flavors – Therefore, I also translated the drink into French: Un Moment de Silence. 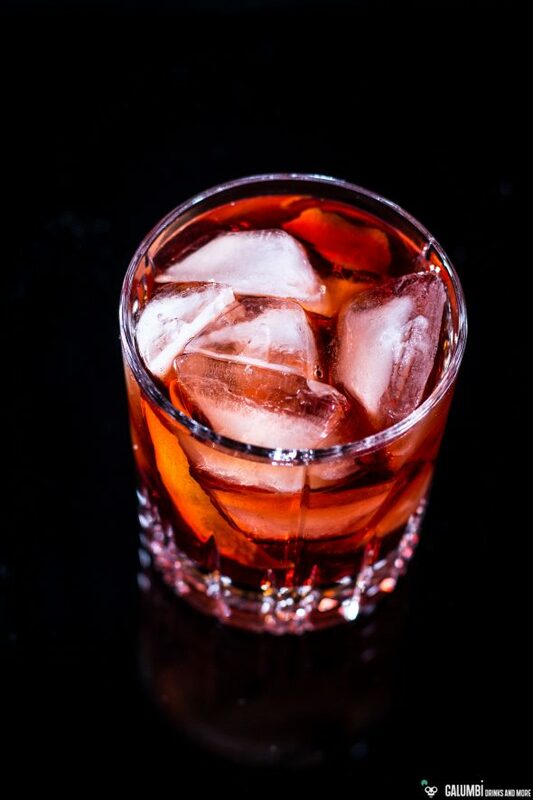 Preparation: Fill a tumbler with ice cubes and “wash” the ice with Campari or Mondino Stagionato. Therefore just add a few dashes on the ice cubes and swing the glass in your hand. 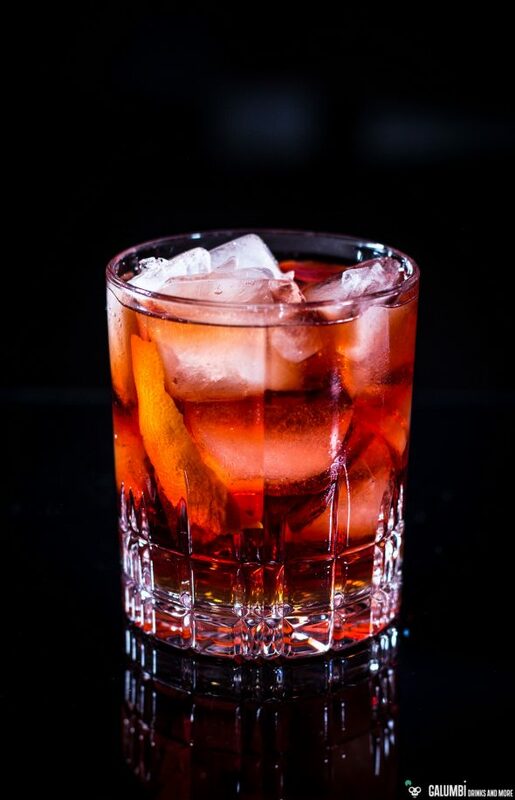 There should only be a little bit of the Campari or Mondino left on the bottom of the glass. 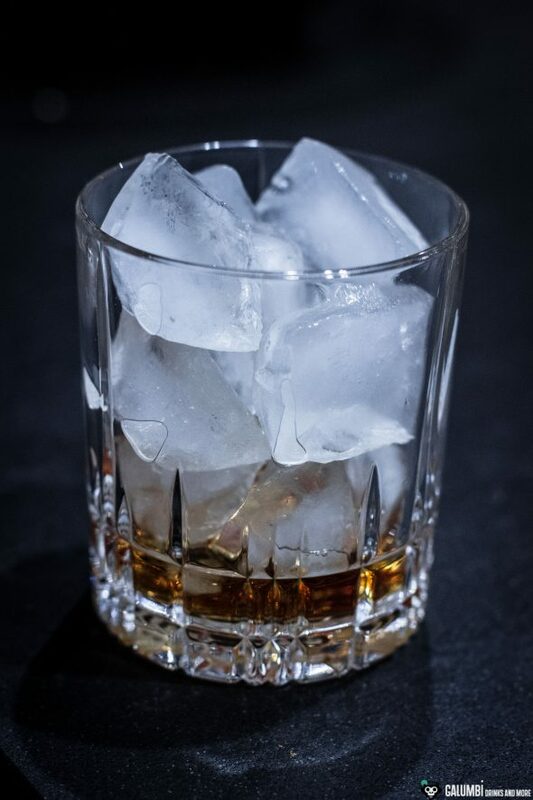 Then stir the remaining ingredients on ice until cold in a mixing glass and strain into the glass filled with the “washed” ice. Spray with the oil of an orange zest. Buying sources: At specialized retailers or online. It is bottled at an ABV of 42,3% and a bottle costs between 60 and 70 Euros.